Last weekend, I had one of those What the heck is that?!? must-stop photographic urges as my husband and I drove along King Street in Kitchener, Ontario on our way to its conjoined city Waterloo. I ran over, furiously snapping, as is my wont, and accosted two passersby, who told me that this is the new University of Waterloo School of Pharmacy Building, designed by Hariri Pontarini Architects and Robbie/Young + Wright Architects. 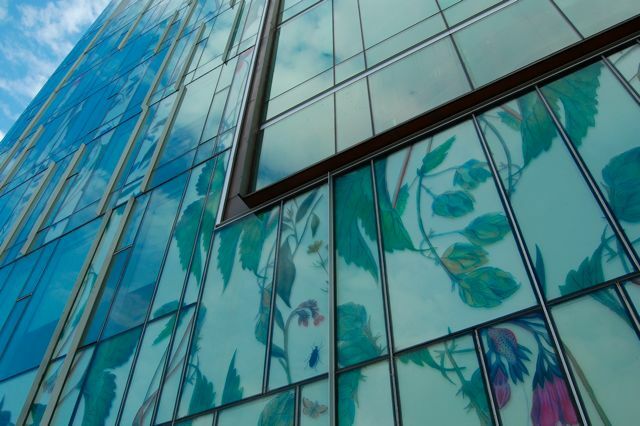 The glass cladding covers enlarged watercolour images of what are clearly old medicinal plants. At home, Google found me this January 24, 2009 Globe & Mail review by Lisa Rochon, which describes the building’s story in greater detail. 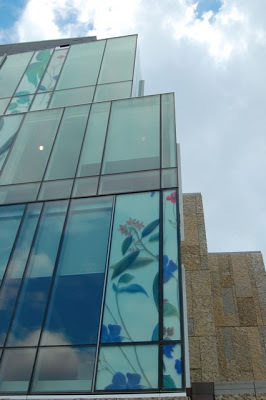 The reviewer feels that the botanical images, while cool, feel rather out of place in the context of the building design. I disagree, and think that time will be kind to this unlikely combination. But then, perhaps that’s my High-QQ-factor coming through. Full disclosure: For me, the initially controversial OCAD Sharp Centre for Design was a case of love at first sight. So. 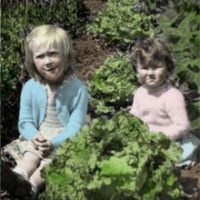 What do you think of all those flowers? More grist for the Out on the Streets mill for VP at Veg Plotting, who advises us to keep our eyes fresh for ideas in our own back yard. Very true, VP. And given that this is Ontario, Canada, imagine these flowers blooming in a field of snow. Will you post pictures again in the snow? What a glorious building – a pleasure to look at, and it means something too. PS voted for you as best Canadian! What a lovely way of adding beauty to a building. Wow! I would stop, too! Someone came up with this great idea! I think that it is gorgeous Helen! As you know I work downtown in the financial district and I am surrounded by glass boxes. I also have a condo downtown and again glass boxes. After a while, they all look the same. 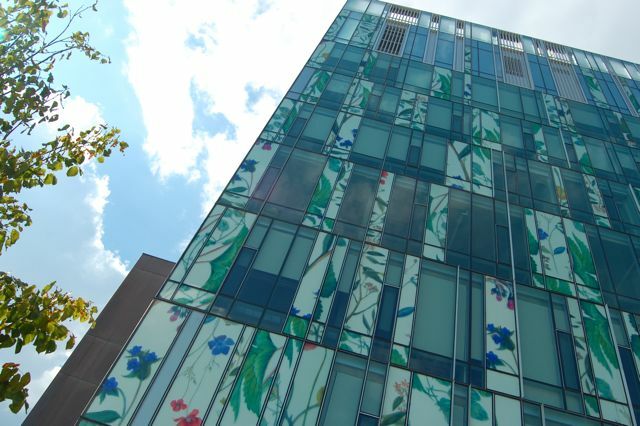 This is a great way to "dress up" a glass building, and will look great summer or winter!